From 12. to 31. 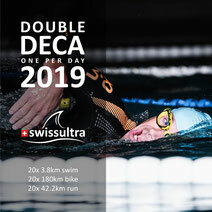 August 2019, three different ultratriathlon competitions will be held in Switzerland, more precisely in the city of Buchs in the St. Gallen Rhine Valley. 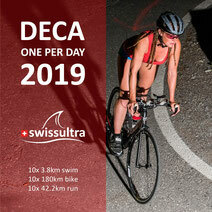 The swissultra 2019 will be organized as a DOUBLE DECA (20x), DECA (10x) and QUINTUPLE (5x) ultratriathlon. All races will be held in the variants "one per day". Buchs is located in the triangle Switzerland - Liechtenstein - Austria amidst a magnificent mountain scenery.